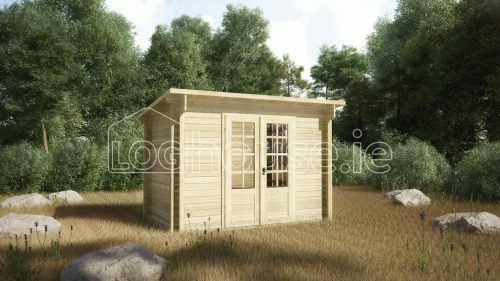 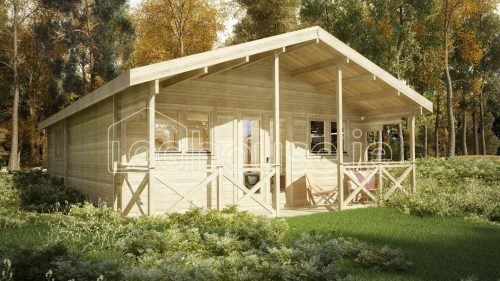 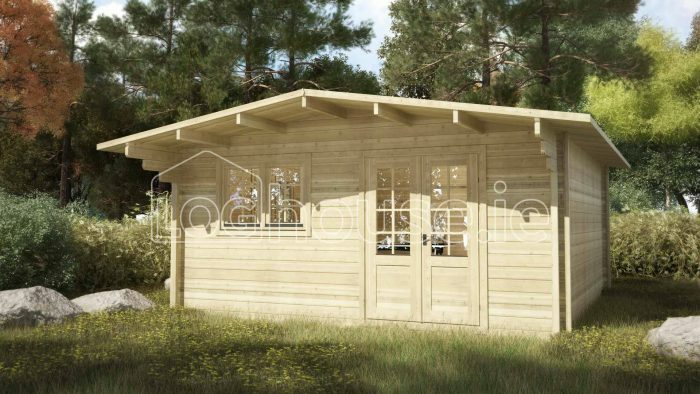 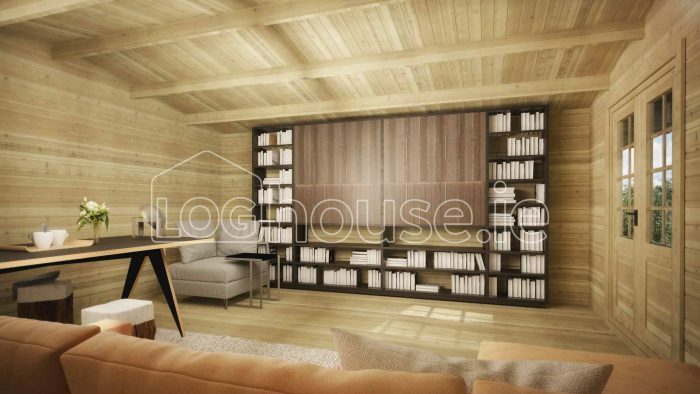 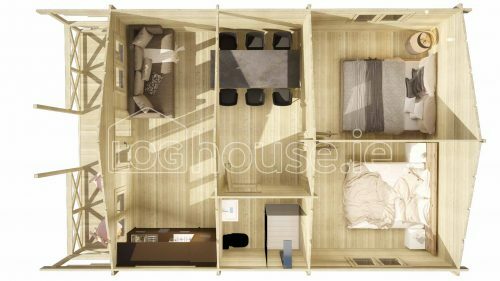 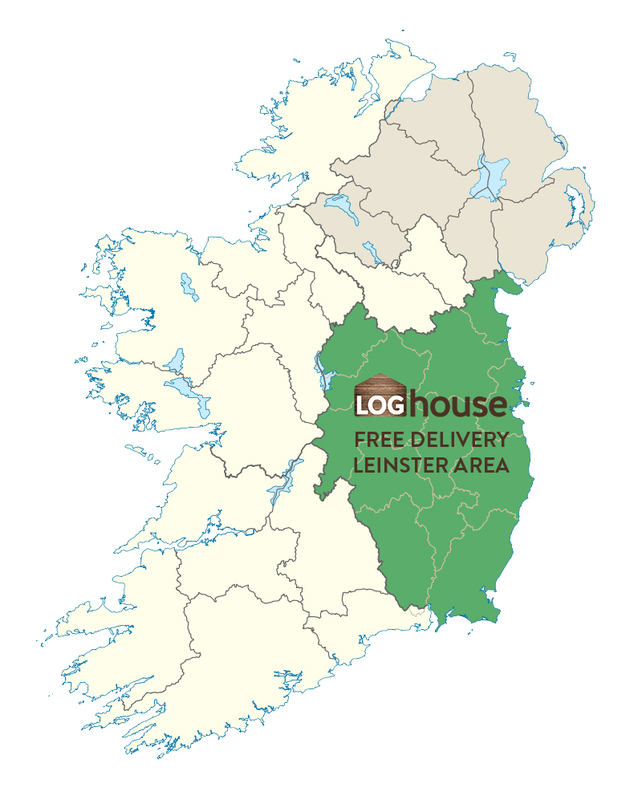 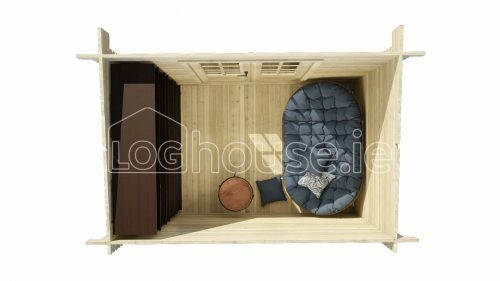 Dublin 5m x 5m + 1m overhang – 1 room log cabin. 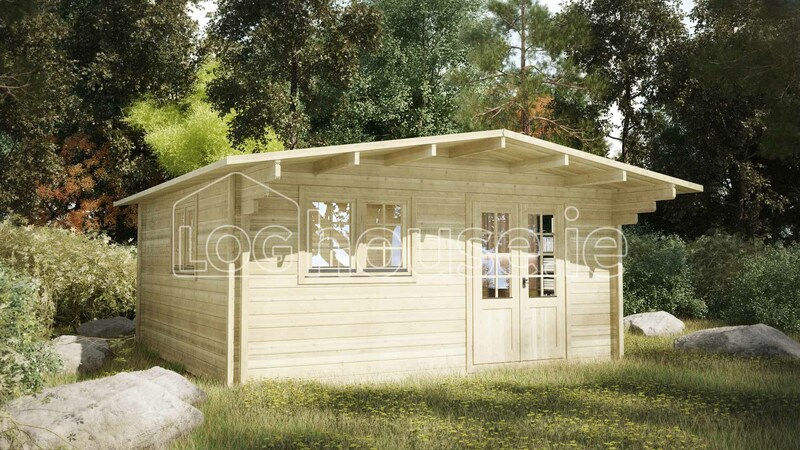 All our electrical work is carried out by constractors. 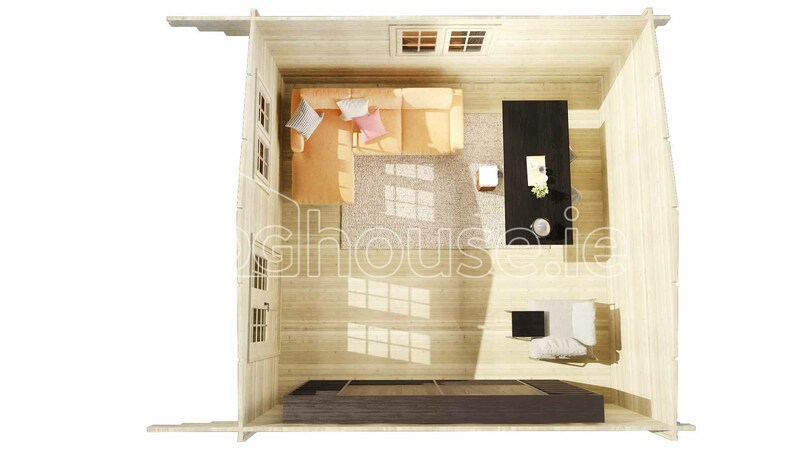 Price guide is €65 per internal electrical point. Main connection to the house is priced on site.